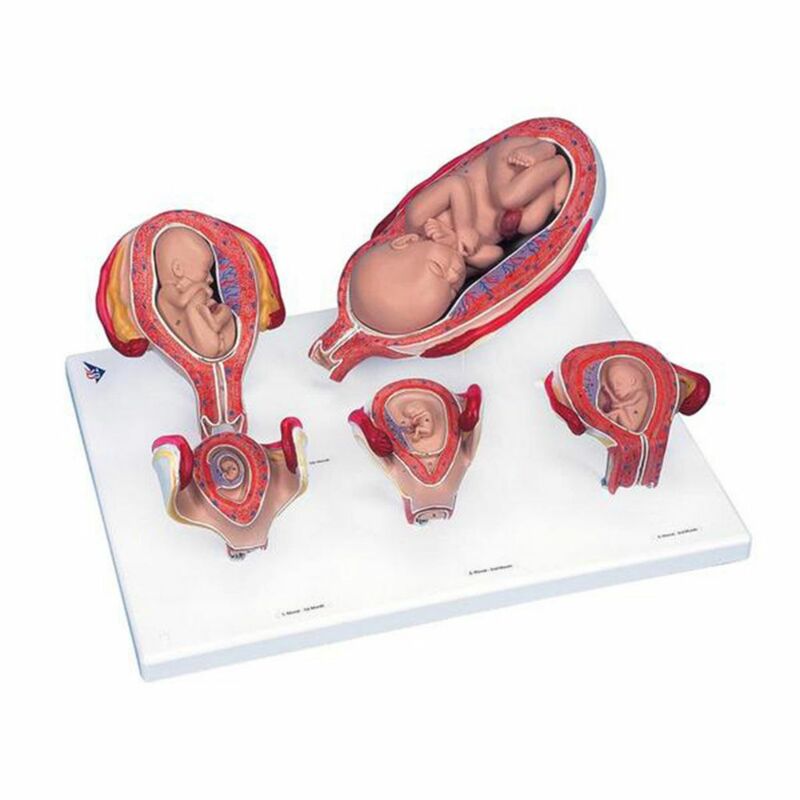 This series shows the most important stages of development of embryo or fetus. All models are mounted together on a base. 1st Month Embryo, 2nd Month Embryo, 3rd Month Embryo, 5th Month Fetus (breech position), 7th Month Fetus.